Geralt of Rivia has had a long journey over the years, beginning in the novels written by Andrej Sapkowski and appearing first on PC in The Witcher in 2007. A sequel followed four years later in The Witcher: Assassins of Kings, first on PC in 2011 and then on the Xbox 360 in 2012. 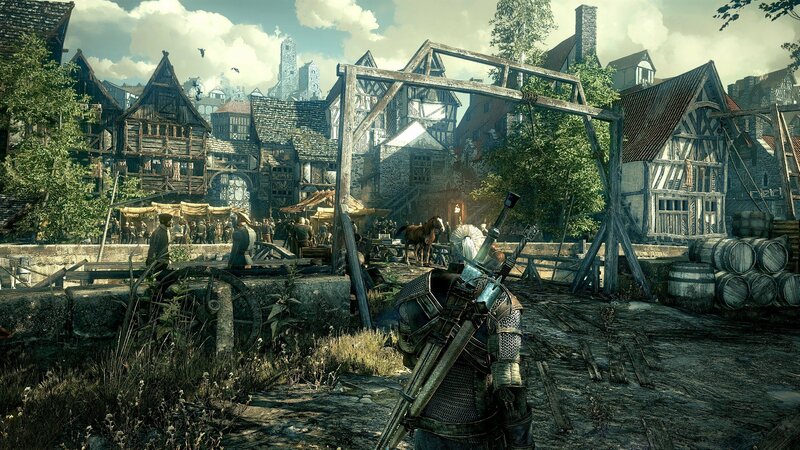 Now Geralt’s story comes to a close in 2015, with The Witcher 3: Wild Hunt being released for the PC, PS4, and Xbox One. 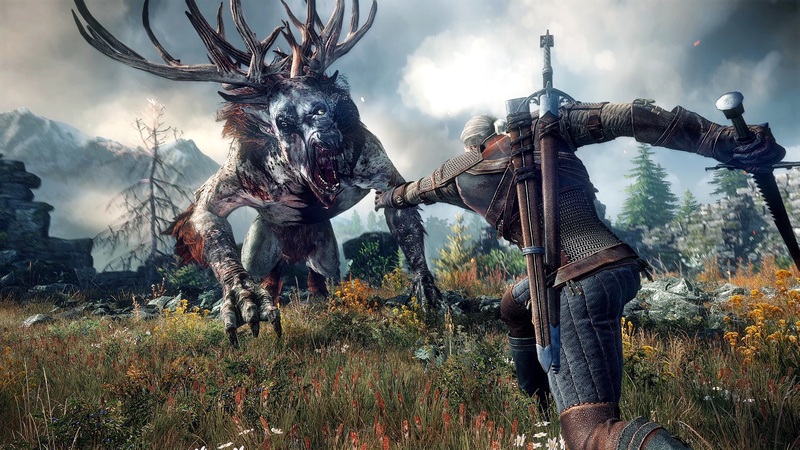 And what an end it is, as developer CD Projekt Red has created an astounding achievement in one of the biggest and best written RPGs in recent years. The game is epic from start to finish, with an engaging, thrilling, and at times emotional main story that’s all too easy to get distracted from by equally engaging side quests. Add in the addictive card game of Gwent, a huge map broken into four main areas, and some terrific controls and you have the makings of a game that can easily take upwards of 60 hours just to finish the main story line. Do the side quests or get caught up in rounds of Gwent and that hour total goes up substantially. Multiple endings offer plenty of replayability (there are reportedly 36 variations to the end), the ability to continue cleaning up contracts post credits, 16 pieces of free DLC (including some extra quests along with the typical cosmetic packs), and two large expansions coming later this year will keep this in your platform of choice for some time to come. The story, while steeped in Witcher lore, is accessible to newcomers, thanks to the extensive glossary that can bring new players to the franchise up to speed. 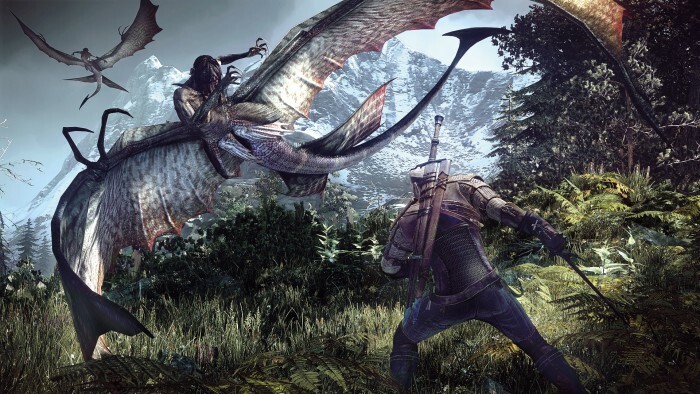 PC users get the luxury of importing their save files from Witcher 2, while console owners simply get to make some key choices from the second game during an interview, which can influence certain events and recurring characters of the series. 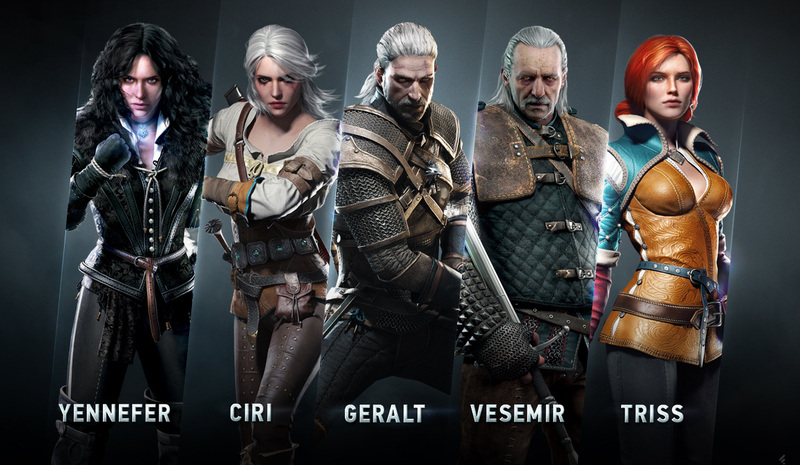 Those who have played the previous games and read the novels will have the greatest appreciation of the story, which revolves around Geralt enlisting aid to track down his adopted daughter Ciri. I won’t spoil the details here, as the story is best discovered as you play. Ciri is being pursued by the malevolent Wild Hunt, and it becomes a race to try to find her before they do. Along the way you’ll encounter a complex plot that touches on political intrigue, encounters with horrifying beasts, a land wracked by war, and apocalyptic prophecies. Along the way you’ll pass through villages, towns, and cities, all of which feel alive and are populated by people in need. There are tournaments of the card game Gwent to enter, horse races, fist fights, monster contracts, and a myriad of side quests that give you plenty to do on your journey. 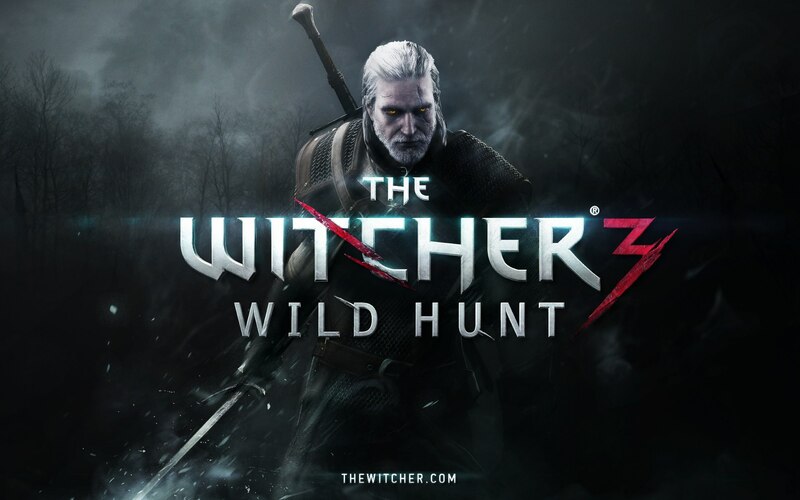 The side quests are especially well written, sometimes chaining together to form mini subplots, and they range from amusing fetch quests (one involves a frying pan, the other a goat) to very intricate (tracking a wife and daughter for a baron leads in an unexpected direction, as does another case the begins with launching a cabaret and turns into The Witcher CSI as Geralt tracks down a serial killer). The characters, both major and minor, are all well voiced and well written. There are plenty of returning characters from the previous installments, like the sorceresses and love interests Triss and Yennefer, the dwarf Zoltan, and the bard Dandelion. A beautiful musical score accompanies you on this journey, going from epic set pieces to tender choral arrangements, evoking Celtic, Middle Eastern, and Eastern European influences. It helps that the world is gorgeous to look at as well. 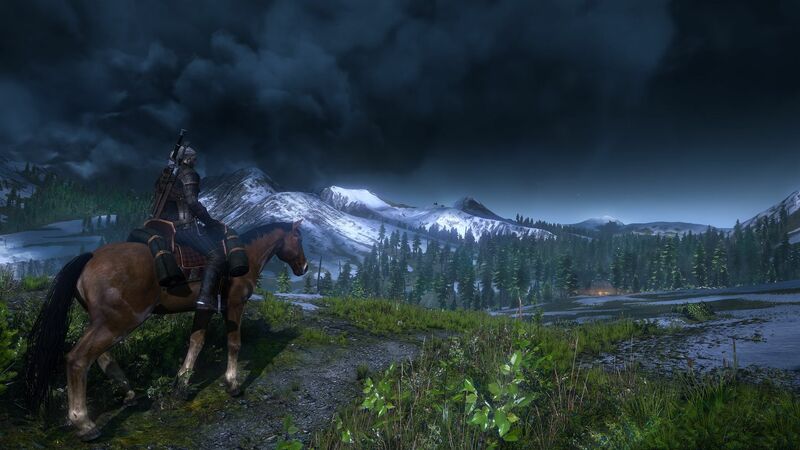 Trees and plants sway in the wind, puff of dust rise from Geralt’s footsteps, a day/night cycle alters the dynamics of monster contracts, and the weather can go from sunny to stormy as you make your way from place to place. The environments are nicely varied, going from lush forests to snowy mountains to misty swamps to rolling farmland. The towns are nicely arranged, and the massive city of Novigrad especially stands out in its detail and living, breathing populace. The towns have varying cultures, with some places being a bit on the creepy side. Castle ruins and lighthouses have their own tales to tell, and it can get easy to get caught up in various political intrigues if you wish. And that’s the nice thing about The Witcher 3 — you can engage in as many of the side stories as you wish or focus more on the main story. Be aware that leveling up is easier the more you participate in, as you gain experience points from combat, exploration, and completing quests. You can mold Geralt as you wish, either balancing him with multiple abilities over four skill trees or maxing out just one skill set. The enemies all react intelligently as they don’t just dive into the path of your sword but will dodge and parry your attacks, as well as work with others to swarm you. There are several difficulty options to choose from depending on the skill of the player, and even the easy option can prove to be challenging. In addition to quests you’ll be doing plenty of looting and collecting supplies for you to make potions, bombs, mutagens, and oils that can aid in combat. The crafting system is set up for easy access, making it clear what materials you need to make an item, which is accomplished by a simple button press. You’ll need to find plans in order to make the best equipment, and to craft armor and swords you’ll need to enlist the aid of a blacksmith. Combat flows nicely as well, with one button for your quick attack an done for your heavy attack. In addition to these melee attacks, you can also cast Signs (the Witcher equivalent to magic). The Signs have varied uses. Igni gives you a fire attack, Aard allows you a powerful telekinetic push, Axii comes in handy to influence or calm others (including horses), Quen helps you shield yourself, and Yrden can trap enemies for you, holding them in place for you to launch an attack on. You can also use bombs and a crossbow (easily equipped by bringing up the radial menu), and you can map healing potions for quick access to the Up/Down directional button. Mixing all of these abilities together can prove to be necessary when engaging stronger enemies and those that come in bigger groups. Traveling across the world can be accomplished on foot, horseback, or by boat. The controls for both the horse and boat work pretty well for the most part, though at faster gallops your horse can get away from you. The horse has a stamina meter you need to keep an eye on, and different saddles give you greater amounts of stamina. These saddles can be won in races or purchased from certain merchants. Find sign posts across the world and you can unlock fast travel, which can be quite a welcome when you need to traverse large sections of the map. While in a boat you can also fast travel to certain harbors. Finding your objective on the map can be a bit of a chore at times, and the button highlight to jump to your objective comes up infrequently. Had this been available all of the time it would make using the map a much easier task. As the game went on I got better in scanning the map, but it’s easy to see how it could become frustrating for some. It is nice that a series of dots lead you in the direction you need to go on your map, making the mini-map relatively helpful, though on occasion I did have those dots disappear and lead me in the wrong direction. It seems to be more of an issue when going from one section to another (like from Novigrad to Skellige, for example), but it works well most of the time, making it just a slight annoyance in spots. 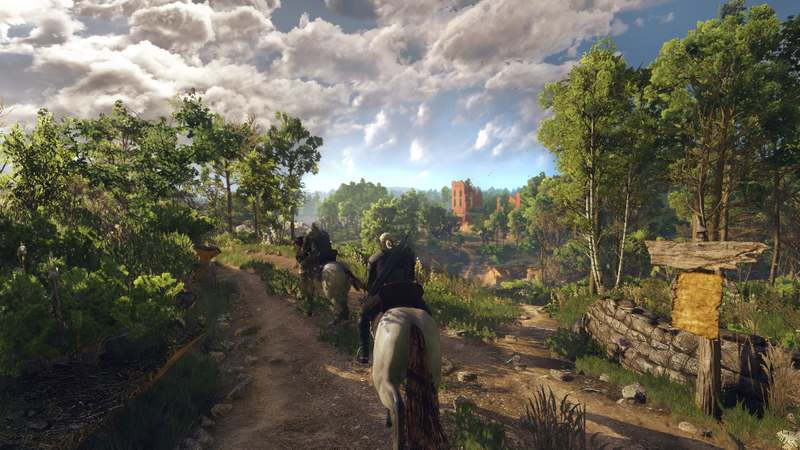 As incredible as The Witcher 3 is for a massive open world game, it’s not without some flaws. Some of these appear in the form of amusing glitches, as people pass through doors without opening them or mugs may dance on a table in the background. Several patches have already been rolled out, as CD Projekt Red has been quick to respond to player issues. Most glitches haven’t been game breaking, but I will note that while I didn’t encounter anything major while playing on the Xbox One, other players did have major issues across all platforms, including progress not being saved, money disappearing, or getting stuck on a loading screen. Those loading screens —at least there is stuff to read on them— give the load times in Bloodborne a run for their money. Generally they’re not too bad unless Geralt dies. Then it seems to take longer getting you back to the action. There is some occasion of screen stuttering during cut scenes, and frame rate can dip slightly in spots, especially later in the game. Nothing ever made the game unplayable for me, but it happened enough where it does need to be noted here. For as massive a game as The Witcher 3 is, it runs surprisingly smoothly, making it easy to stay immersed in the engaging game world. While checkpoints are set at decent intervals, it’s advisable to manually save often, to prevent you from losing large chunks of progress. In all, The Witcher 3: Wild Hunt is an incredible achievement, with an epic feel from beginning to end. The main story is engaging and pulls you through, even allowing you to play as Ciri in spots. The card game Gwent can get addictive, as can collecting the cards to build a better deck. Side quests are varied and at times chain together to form subplots that are every bit as engaging as the main quest. Monster contracts give you a nice source of income, and the world just feels alive and makes you want to spend loads of time in it. CD Projekt Red has stated that it can take you 200 hours to do everything, and with more content on the way in the form of two large expansions there is more than enough content here to justify a purchase, even with buying the season pass. Great characters, music, story, and gameplay make this one of the best RPGs to be released in recent years, and make this a must-play (if not a must-purchase) and a definite contender for GOTY. 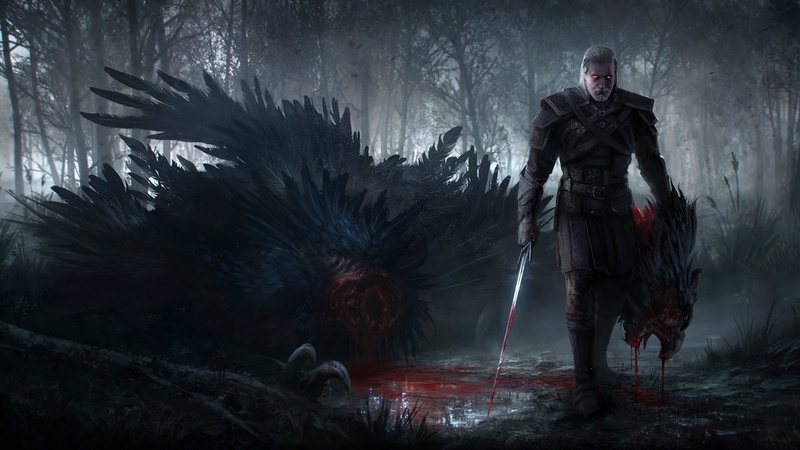 This may be the end of Geralt’s story, but oh, what an end it is. Don’t miss this one. This article is originally written by Thomas Juretus, a writer at Leet Gamers Asia. It is republished with permission and additional images were added.